home / Multimedia / The Holy Land in news / Cecilia and the Civil Service at Jerusalem: “This is a place .. It has been ten months since the beginning of the experience of Civil Service for six Italian young people, who are engaged in many different ways in the projects by the Association pro Terra Sancta thanks to an agreement with the University of Bari. The young people are putting into practice their skills and knowledge, but above all they are learning a lot. 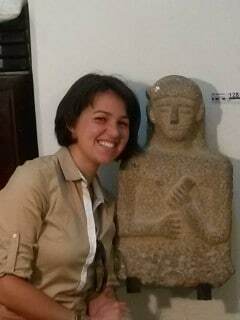 This is the story of Cecilia, a volunteer at the Association pro Terra Sancta, working at the Archaeological Museum of the Studium Biblicum Franciscanum, and collaborating with the stages of survey, research and promotion of the project “Terra Sancta Museum”. Straight after graduating in “Textile Restoration” and “History of the Art” I had the opportunity of coming to Jerusalem. 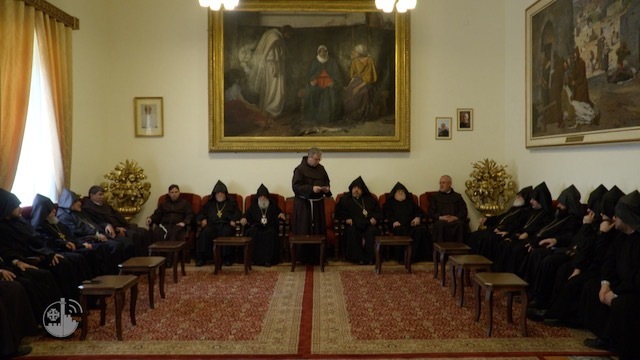 In this place I have been able to be in touch with the beautiful artistic and cultural heritage of the Franciscans, by classifying Coptic fabrics and antique Roman jewels. Looking back at this experience, now that it’s reaching its end, I can’t overlook the obvious personal growth that I have achieved: this is a place that never ceases to test you; every single day I would find a big challenge and, specially in the moments of tension, I was always compelled to show why I was here, and to show the testimony I could bring, as a Catholic, in a country so full of contradictions, so fascinating and with so many opportunities. Many beautiful friendships have been born in the past year (some of them I would have never imagined), and these have been essential in difficult times, being simple and genuine in a way that can only be achieved by cooperating so closely. From the point of view of work, the challenge has been huge: Bringing my role into focus initially presented several challenges; I had the feeling of not being very useful and was frustrated for not being able to give my best by using all my skills and abilities. However, in the end the desire of learning as much as I possibly could was bigger, and I tried to gain a lot of experience in every way possible, something that would have been difficult to find elsewhere. In fact, the possibility of seeing first-hand such a rich artistic heritage, beyond all misunderstandings and challenges, has been a unique, once-in-a-lifetime opportunity. I certainly realise that my personal growth has actually been possible thanks to these daily challenges, and everything that I have learnt will be very useful to me in my future career.